Do you live a life of service and end up feeling depleted? Need some time to relax in a meaningful way? Want to renew your sense of hope and creative freedom? Nature is the greatest of healers and the best of teachers. In this busy world of working towards collective change, we all need time to reconnect with the gift of life and see the purpose behind our work. Get connected with nature, a community of allies, and with your own creative vision. This retreat is a lifestyle reboot based on design principles for personal wellbeing and the renewal of your professional creative path. It is an annual process for finding balance at work and at home. Join us in a deep reflective time to envision how you can use your creative power to find a positive way forward for yourself, your family, your work, and your community in 2018. Grow meaningful connections with other people who are changing the world through visionary action. Explore how to bring your vitality and inner wisdom alive for the year ahead. If you are busy and often overwhelmed with work life, home life, social justice efforts, or your own creative contributions to the world, this workshop is for you. This long weekend retreat is specially designed to bring together like-minded people and restore the spirits of the communities who are on the leading edge of change. 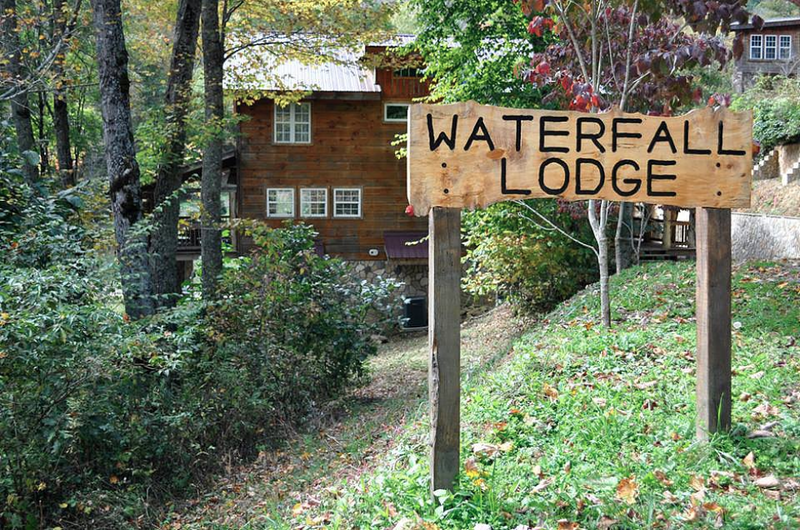 Waterfall Lodge, a three-story cabin nestled in the 200 acre Memory Mountain Resort. The three-story cabin has 5 bedrooms + loft, and 4 bathrooms. It is complete with a vaulted ceilings, spacious living areas, soothing hot tub and a wide porch that overlooks a waterfall, babbling brook, large stocked pond, and outdoor fire pit. Waterfall Lodge was built from antique reclaimed lumber and stone and it's located just 30 minutes outside of Asheville, NC and 3 miles from Tennessee. The lodge provides secluded mountain tranquility while being close enough to enjoy the many activities that Asheville and Western North Carolina have to offer. Memory Mountain has something for everyone! UPDATE: The venue for this retreat has been changed to accommodate a higher than expected demand for this retreat. Registration for this retreat is now closed. Winter Renewal Mountain Retreat is now FULL of educators, activists, and inspiring community members who will be sharing a long weekend of Introspection, Nourishing Food, Yoga, Restoration and Renewal.